Vomiting and diarrhea are the most unwanted companions any traveler could have. But how can you experience authentic local foods in a new place without troubling your stomach? Here, we’ll spell out some tricks on how to avoid food poisoning, while still being able to eat like a local. A busy and well-visited place means higher food turnover, which also means greater food freshness and less likely that what you’re having has been sitting around for long hours at unstable temperature. So even if you have to wait for your food to be served, simply take it as a little sacrifice for a safer meal that won’t trouble your tummy during your entire vacation. High temperatures kill germs and bacteria that can cause digestive problems. Lukewarm and cool temperature, on the other hand, encourages bacterial growth. When deciding on a meal, find places that serve freshly cooked items—ones that you can see smoking and steaming hot when served. Exploring developing countries is not the best time to try out fresh salads or any raw food. But since it’s inevitable to crave for fresh fruits, look for ones that you have to peel yourself. Avoid peeled mangoes and fruit juices from street vendors. Instead, visit a fruit and veggie market and buy unpeeled fruits, like bananas, oranges, pineapple, watermelon and the like, for your own consumption. When eating locally, expect different food standards from your home country. Vendors may prepare your food with their bare hands and probably most of the food is not properly stored. However, there are still many who you can trust when it comes to food hygiene. Look for things like tongs and serving utensils, food covers, steaming hot food and sinks with water and soap when deciding where to dine. Your very own two hands can also be a cause of stomach problems. Besides making sure that your food is handled hygienically, also ensure you have clean hands before touching your food. At the very least carry sanitizing wet wipes or a pocket sanitizer you can use before and after every meal. Tap water is one of the common causes of stomach problems among travelers. But even if you’re buying a bottle of water or any beverage from a mini mart, see to it that it’s safe and clean by checking the seal. It should be intact, and the bottle should not be distorted or damaged in any way. 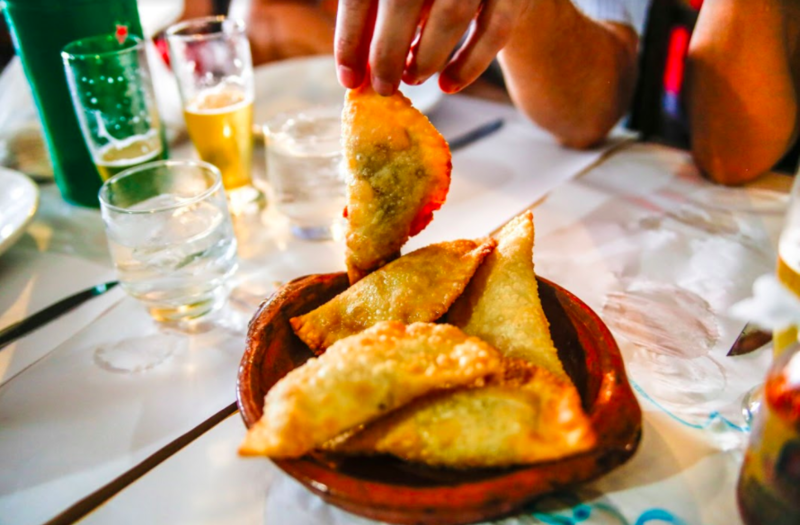 Street and local foods are an essential part of travelling and experiencing the place’s culture, and the fear of food poisoning shouldn’t stop you from trying authentic local cuisines. Knowing what to do in advance is the key to enjoying authentic food and making sure that you stay healthy all throughout your trip.